Sharing what we learn is a little practice we’ve been engaging in here for over two years, where we spend a little time reflecting on the past before we move ahead into the future. It’s the middle of August and many of you are already in the fall-schedule swing. Before you move too far into your routine, let’s reflect on your summer, shall we? At the end of this post, you’re invited to link up to your own list of what you learned this month – be it silly, serious, sacred, or just plain useful. First, here are 12 things I learned this summer in no particular order. 1. The First Families pay for their own food bill each month. I learned so many interesting facts from reading First Women: The Grace and Power of America’s Modern First Ladies this summer. But this one sticks out more than any. They don’t pay for the State dinners and such, but they pay for their own eggs in the morning as well as when their family comes to visit. I don’t know, guys. This feels weird to me. 2. We’ve been quoting Neil Armstrong’s moon words wrong. Maybe. When Neil Armstrong landed on the moon, he intended to say One small step for a man, one giant leap for mankind. But what came out (or what was heard) was One small step for man, one giant leap for mankind. Leaving off the tiny letter “a” before “man” rendered the phrase redundant, as man and mankind pretty much mean the same thing without the “a”. Even more interesting is how hotly debated this phrase was and is. We’re talking studies, experts, researchers and communicative science. I did not know this! 3. Coins really do add up. This is a real life example of “start small, celebrate progress.” Y’all. 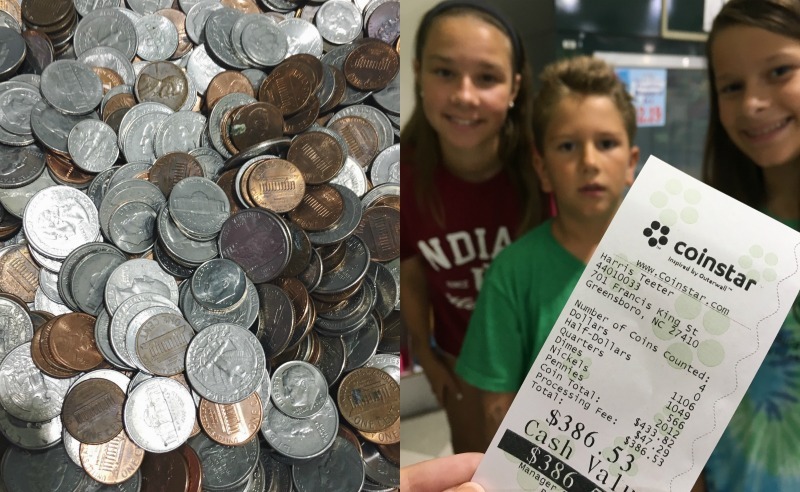 I’m embarrassed to tell you that we cashed in coins this summer at that coin cash machine thing at the grocery store and, well. Look. 4. I have a deep and abiding love for arugula. Before this summer I never paid much attention to arugla. It just looked like puny leaves to me. But in Italy they served it in the salads and every bite made me so happy! Pepper lettuce! Now I can’t get enough. 5. Bruschetta is pronounced brusketta. I did not know this! Italy also did this to me. Not that we ate a lot of bruschetta, but that it forced me to pay attention to how it’s pronounced once I got home. A hard “k” sound instead of an “sh.” I feel like I should have known this before now. 6. I’m kind of obsessed with the pre-loaded instagram image. 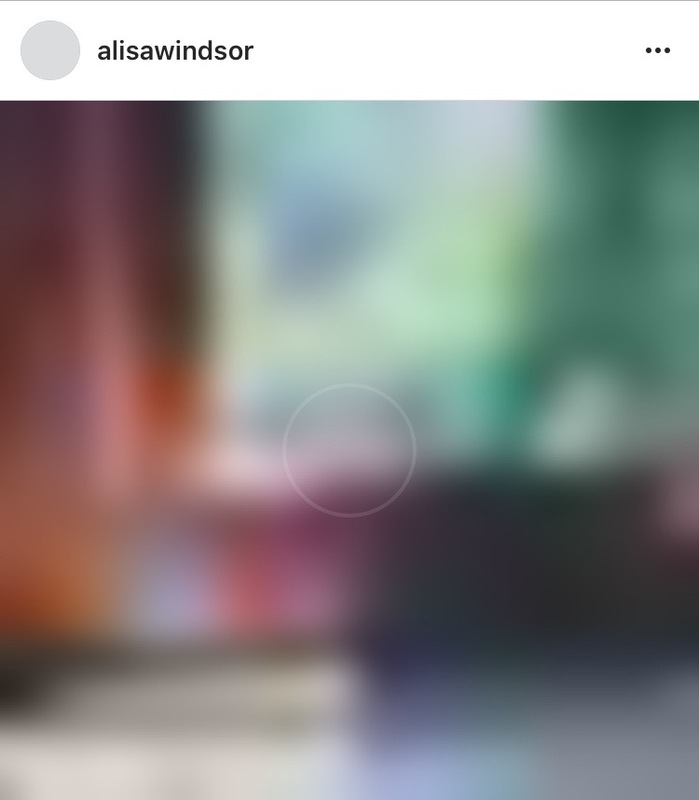 You know how the images are blurry now before they fully load in instagram? Well I always want to like the pre-clear image. Even poor images look lovely muted and blurred together. 7. The most difficult person to be kind to is me. For all the ways I believe in being kind to yourself, for all the ways I write about it and encourage you to practice it, I still struggle with practicing it myself. Listening to Andrew Peterson’s Be Kind to Yourself on repeat this summer and tearing up every time I watch this video of him singing with his kids. 8. Creative work no one knows about is hard work to finish. If you don’t do it, no one will ever ask for it, expect it, or miss it when it doesn’t show up. But you will know. And you will miss it. This summer I’ve learned to embrace the secret work of creating even when no one knows about. It’s important and none of it is wasted. 9. My eyes are old. This summer I haven’t been reading as much as I used to and I realized (translation: John realized) it was because the words on the page are kind of sort of blurry a little bit. I finally admitted the truth, picked up a pair of readers, and can once again read with ease. Amen. 10. The creative process can be trusted. Sometimes when the words won’t come, I experience temporary amnesia, forgetting how an inability to express an experience does not render it meaningless. It simply means I need more time. I go through seasons of forgetting this, but I always come back around to believe it again. Finally writing this post was healing and faith-building for me after returning from Italy this summer. 11. Only eat oysters in months with an “r”. I’m learning a lot about cooking from Vivian Howard, the chef in the docu-series A Chef’s Life on PBS. My sister has been trying to get me to watch it forever and I finally did this summer. Fancy southern food + Avett Brother’s theme song + light-hearted restaurant drama + North Carolina = Yes please. And you learn fun and interesting facts like when to serve oysters. 12. When hard things happen, truth doesn’t stop being true but it might be lost for a while. It was a summer filled with heartbreak and tragedy in our country and around the world, wasn’t it? As we still grieve the loss of so many people earlier this summer in Orlando, the rising racial tensions around our country, and the political unease, it’s easy to become overwhelmed and discouraged. And then we cheer for Team USA during the Olympics and cry a little bit when Simone and Simone win gold medals and we all feel a lot of mixed up allegiances when it comes to the land of the free and home of the brave. Truth might be misplaced for a while. But truth is still true, God is still Good, and beautiful things still happen in this messed up world. 2. Argula is the BEST green on a sandwich and sometimes I sprinkle a little on my eggs in the morning to make them interesting. 3. Neil Armstrong’s words. I would never have known. Thanks for sharing and be such a great hostess here! You know when we tell someone to the keep the change and it doesn’t seem like much? Well, it adds up, doesn’t it? I love arugula and “brusketta” and Vivian’s show. (I can’t wait for her cookbook to release so I can cook through it.) Are you watching the British Baking Show? Oh, if you aren’t, you should! Better than the baking, are the personalities of the people. Every time I watch I come away I come away feeling hopeful. Thanks for the link up. It’s my first time though I am a regular reader :). I adore list posts and “What I learned. . .” Thanks for sharing! First of all, thank you. 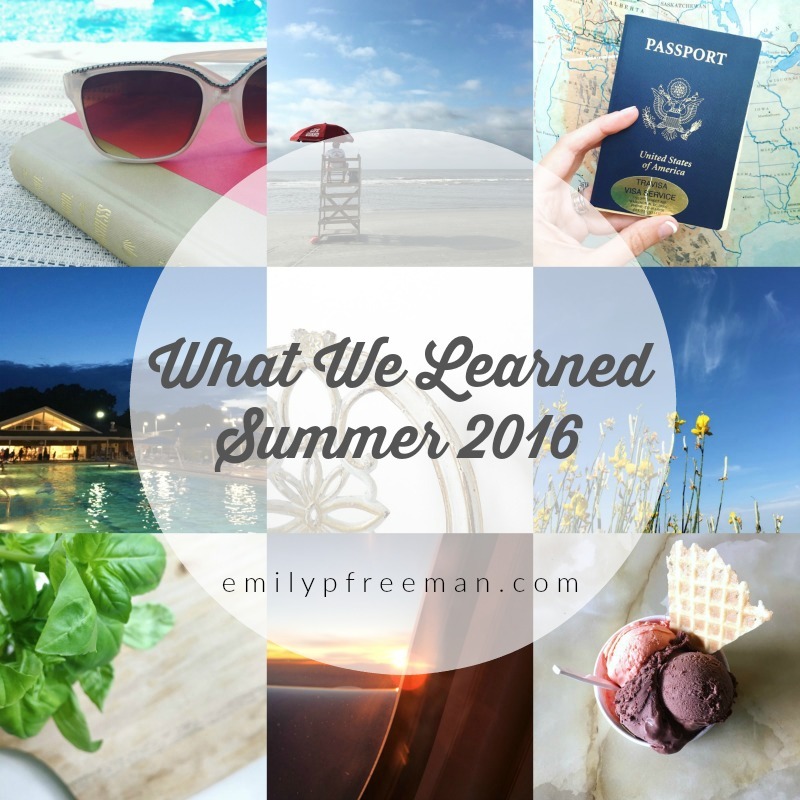 You have encouraged me to look back and really process what my month (or season) has taught me. It helps me remember that life is not happening to me…I am part of it. And the song. Well, it’s exactly what I needed. This summer. A mixed bag of happy times and crushing loss, abundant blessings rising from battles with adversity. I relearned that life is fragile and we only have today to get it right. I’m too old for this – at least that’s my plea. But I am nothing if not always ready to serve Him, even though He slay me – so I find that, though I am more limited now, I can still do creative things that add hope to faith and perhaps encourage those younger than I that triumph cannot exist with out struggle. Love your list! 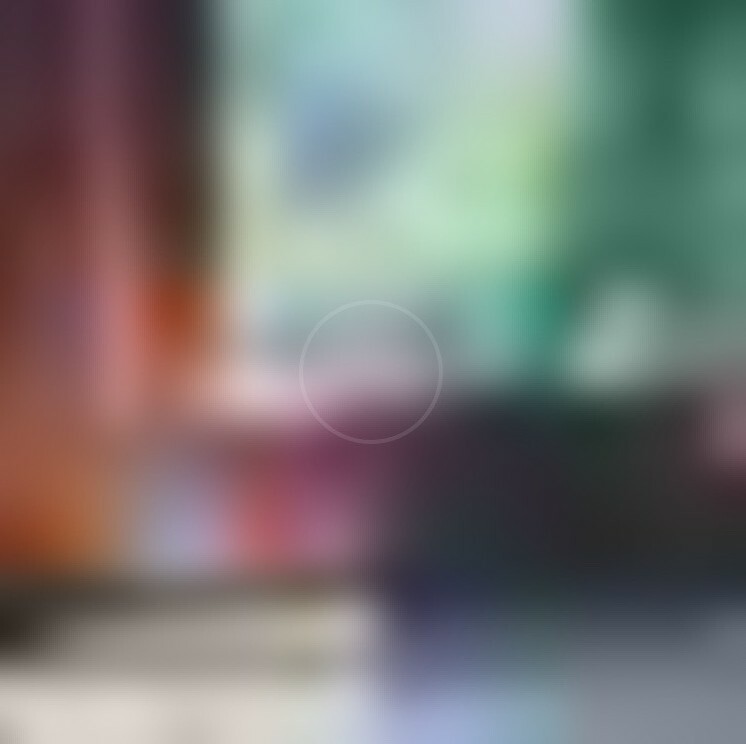 I too am obsessed with the new blurred Instagram loading images. Readers are now a necessary accessory for me as well and your #8 cuts me to the core of my heart because I’ve got something in me trying to emerge but no one knows it yet…#10. Gives me hope because I know at the proper time it will emerge!!! I think like the rest of America if everyone in the government had to live within a budget including housing and esoecially healthcare we would start to have a leaner government that prevents wasting the taxpayers dollars. So no I’m not against especially the government footing their own expense. i learned, and am still, that letting go is HARD. but you have to anyway. The change thing brings back FUN memories! My husband Mike has always put his change in a Mason jar. We were always surprised at how much it added up to. When the Whippersnappers were young, we would take the Mason jar and cash it in just like you did. Then we’d divide it four ways and that was their spending money for the summer for movies, ice cream cones and Slush Puppies at the pool. One year, it was for spending at Disneyland. Yah for things that add up! Thank you, Emily, for introducing me to this beautiful song. I’ve been thinking of something you wrote a few weeks ago, about seeing yourself as different and flawed and not measuring up like others do (perhaps this is my interpretation of your words or the way I’ve remembered them through my own lens). I almost hit reply and told you I’m right there in the thick of it, too. It’s an INFJ / 4 wing 3 thing, but it’s also a lie, one I battle all the time. I’ll join you in being kind to myself. Solidarity and a hug! “Be Kind to Yourself” has been such a transformative song in my life. Yes, keep listening to it and keep believing it! Also, great list — always enjoy your What I Learned link-ups. Looking forward to seeing you and fellow hope*writers in November!! This has been a mixed up summer of happy and scary moments. I am pleased Potus and Flotus pay for their own groceries!! He earns a good salary and should not get any fringe benefits. I always save change. I have a jar in my kitchen and put change in it. It is used when I go the car wash. Change can really add up. I live by the adage “A penny saved is a penny earned”. One important thing I learned is that “nothing” surprises me anymore. Stupid laws (bathroom), all the shootings & mass killings-nothing is news to me! This world is spiraling downward fast!! The devil is having a heyday for now, but soon I pray God will come back and wipe out all this wickedness!! I learned some new things from your list! Kickstarter program this past spring. His family is precious. #11 – I used to work as a waitress in a seafood restaurant so I knew that one. We would always tell the customers not to order oysters in months without an “r” which happens to be the summer months when people want seafood! #12 – Big puffy <3. I love that song by Andrew Petersen…and the change does add up; we did the same thing once. So sorry for double linking but the first link was to my post, which I accidentally deleted while adding the link to your site…A first! So the second link is to an actual post. Love Italy 🙂 Glad you got to go as a family. A Chef’s Life–such a good show! I can’t wait until her cookbook comes out! And, one day I am definitely going to visit the restaurant. What you said about arugula is so funny because I learned this summer that it is NOT my favorite green. And, yes, creative work in the secret places is hard to finish. As the Lord continues to awaken in me creativity, I’m learning to enjoy the slow process of letting it take shape, not shouting it to the world, and finishing it even if it never makes its way beyond my notebooks. Thanks for always opening up your space here for us to share. Wow, that’s a lot of change! Next time you use a Coin Star machine, select a gift card option and you will get 100% of the money you put into the machine! What I learned this summer…hmmm….we moved from Michigan to South Carolina at the beginning of June and just moved into our house we bought a week ago Saturday. So I’m sure the things I’ve learned are many BUT I haven’t had time to process them! Oh Emily, thank you. Your writing style always exudes such peace. I needed the encouragement of so many of these things, especially numbers 7 and 8. You’ve given me encouragement to return to this amazing “what I learned” discipline that I haven’t done in a few months on my blog. Thank you. Have you tried Ina Garten’s Arugula Salad? Google it. RIDICULOUSLY Simple and delicious for lunch DAILY. Love that Andrew Petersen song…hadn’t heard it and now it’s on repeat. Love these. Love Chef’s Life. Just set up a series recording. Thanks for the reminder. This summer I re-learned not to commit to something before I take the time to see if it would work in my schedule AND really think and pray through it. I spent a few weeks resenting, then looked in the mirror. I thought I’d already learned this one! I also re-learned that a homegrown tomato is the absolute height of eating. Caprese salad. BLT. In everything imaginable. I learned that when I can’t get motivated to do anything and waste time and wander around, can’t concentrate, and feel generally bad about not producing, it could be that the anniversary of a loved one’s death might still hurt more than I thought it did. It’s okay to watch a few movies, read some novels, and recognize what’s really going on. Why does this still blindside me? 1. 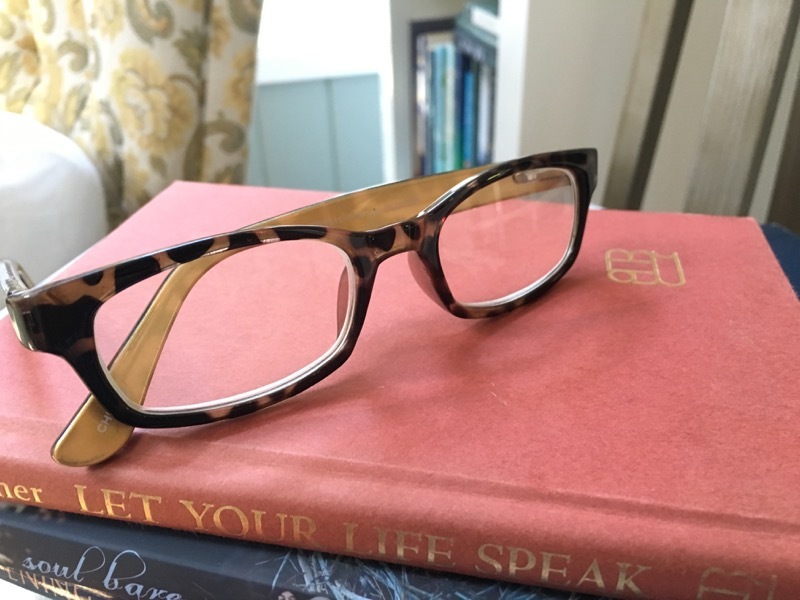 I started wearing readers at age 35. It’s OK.
2. You and John MUST venture east to Chef and the Farmer. It’s an investment of time and money but oh so delicious. One of the best meals and fun evenings I’ve ever had. 1. My husband has always saved change and we cash it in and use it for treats. Sometimes treats for us and sometimes treats for other people. 2. I went to Wisconsin for 16 days this Summer and made lots of memories with my son, daughter in law and little grandkids. We had fun watching a movie in the park, sharing a Chinese meal and visiting a theme park for my grandson’s birthday. 3. I learnt to be patient when our flight was delayed, then our baggage was left behind and there was a huge rain storm when we landed. Instead of getting cross, I shrugged my shoulders and thought “oh well, God will sort it out” and the best thing was, He did! 4. Readers are useful, it means I can stick my nose back into a book and learn more! 5. I discovered that my friends are very valuable and was so grateful that God enabled me to visit several of them this Summer! Thank you for sharing with us all and encouraging us to share with each other! You must please share some of the good books you’ve been reading. I have found you have really good ‘taste’ in books lol. Have a blessed Thanksgiving. Wow what a great tips for summer, and this is amazing tips. I will shear this on facebook & twitter for my follower.